First of all, let's set things straight. When I showed up at the Concierge's desk for my 9:30 am appointment with Catie Copley and naively asked where I should take the black Labrador for her morning walk, the receptionist placed the canine ambassador's leash in my hand and said not to worry. "Catie," she declared, "will walk you." 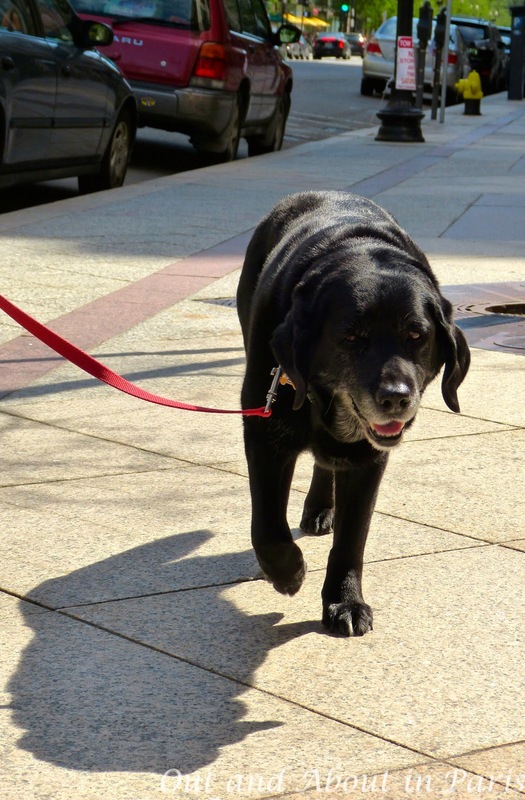 Having originally trained as a guide dog in New York City, the 13 year-old black Labrador was hired as a full-time staff member at Boston's Fairmont Copley Plaza in 2004 after a visit to her veterinarian revealed a mild vision problem. 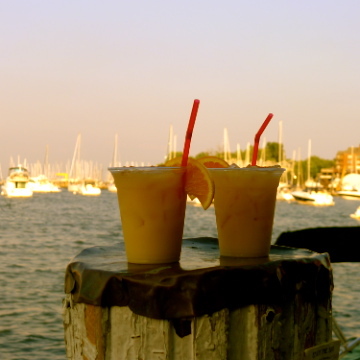 On the day of our walk, Catie arrived at the hotel with concierge Joseph (Joe) Fallon when he began his shift at 7:00 am. 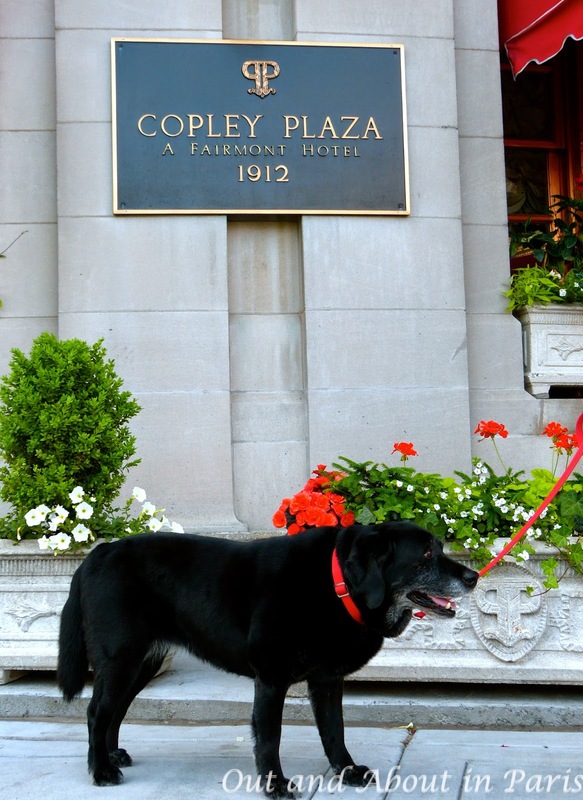 In addition to greeting guests with a friendly wag of her tail and posing for photos in the hotel's ornate lobby, Catie has her own e-mail address and sends care packages to other dogs staying at the Copley Plaza. Copley Plaza and overheard the guide telling visitors about Boston's most famous dog. Catie's nails clicked down the mosaic-tiled hallway, known as "Peacock Alley" for the elegantly dressed men and women who have frequented the hotel since its opening in 1912, as she led me towards the main entrance. When we passed Catie's red dog house, a talking point for Boston tour guides, I suddenly wondered if I should have brought along some of Catie's business cards and paw autographs for her many admirers. But even though she's a star, Catie hasn't let fame go to her head. Boston's most famous dog magnanimously greeted all of her fans with a happy tail wag. Concierge Joe Fallon frequently escorts the black Labrador to schools in the Boston area, where the book Catie Copley is a favorite, and to local charity events. Much to the delight of the Copley Plaza's younger guests, Catie recently made an appearance on PBS Kids' "Who's that Dog". While the idea of pet ambassadors isn't new -- the Peabody in Memphis has ducks and Le Bristol in Paris has a cat -- Catie gets my vote for making people feel at home. Catie is so popular with the hotel's regular guests that those wishing to walk her are advised to book three months in advance. The Copley Plaza recently hired another Black Labrador, 4 year-old Carly Copley, who is equally adept at charming visitors. Catie Copley by Deborah Kovacs is available in the hotel's boutique. Catie Copley doing what she does best -- interacting with a guest.